Apple’s move to allow content filtering in iOS 9 was brilliant. The impact of this extended far beyond the Apple ecosystem: it put ad blockers on the agenda everywhere. Major news outlets were faced with the ironical dilemma whether or not to cover this phenomenon. Allowing content filtering at the same time as releasing Apple News was one of the most strategic moves I’ve seen the company make in years. 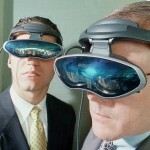 In the Fall of ’97 I got to experience Virtual Reality for the very first time. The experience consisted of a Glasstron hooked up to the classic PlayStation running a racing game at a 800×225 resolution. Calling it an immersive experience would’ve been heresy. The one thing I am most proud of in my company is the team we’ve been able to build. I can say we succeeded beyond our expectations. From time to time people ask me how we did it, here’s how. A few weeks ago it happened again. I ran into an acquaintance who enthusiastically started to pitch me The Next Big Thing™. All he needed was “someone to build it for him”. This was one of the brighter of his species. He didn’t ask me to sign an NDA. At least not right there at the spot. Who doesn’t remember the days that search engines ate whatever you threw at them. Meta tags containing unrelated-yet-search-volume-laden keywords, doorway pages and my personal favourite: white-on-white text. Ever since WhatsApp’s purchase last week, Telegram has been the craze for mobile texting. Hordes of users are adopting Telegram at a speed of over 100 new registrations per second. Telegram’s main strongpoint when compared to WhatsApp are its security and privacy features. On top of that it offers an open API and protocol and is “cloud-based” (thanks to this Telegram has desktop clients). But the thing you hear users talk about the most? Telegram’s speed. Continues: does sound matter in the perception of speed? Whoever’s birthday party I’m attending, they all have one thing in common: YouTube is being used to play music. I love Spotify, but many of my obscure music loving friends dismiss it for only covering mainstream music. I don’t know what that says about my taste in music, but for me Spotify usually suffices. The only exception being the occasional mashup on Soundcloud. Apart from the fact that using YouTube just to play music is a waste of bandwidth – most of the time the active tab is not even the one playing the current track, but hosting the next already preloaded track – it’s just not suitable for the job at all. Seeing someone struggle with an array of browser tabs to manage a playlist pains my innerGeek. I remember the moment Martin and I came up with the idea for BrnoJS. It was after we attended our first ViennaJS meeting and I had just learnt a new word: kurva zima. As we walked across Masarykova, at half past midnight in the freezing cold, we were amazed by the quality of the talks and the participation of the audience at ViennaJS. We both agreed we had to start something like this in Brno and started BrnoJS. Meetings. Hate ’em or love ’em, but they are often a necessary aspect of any project that involves more than one person. However, the bigger the company, the more a time-waster they become. Who doesn’t recognize the person who seems to aim for the Guiness Book of Records in holding meetings?